The next generation is rising through the ranks at family businesses across North Texas. Many companies think of themselves as families. A few, though, actually are. And when parents, children, and siblings work together, things can get … complicated. We spoke with four Dallas families to find out how they’re making the transition to next-generation leadership: How home life spills into the office, how conflicting personalities learn to collaborate, and how the blend of the old and the new makes them even stronger. When she worked in the service department at john eagle Honda of Dallas, Amanda Eagle George’s metal name tag read “Amanda Elizabeth.” Sometimes she’d have surreal conversations in which customers would insist they were good friends of the Eagle family. Sometimes they’d threaten to get her fired, but she’d just smile and do her best to help them. “Have you met John Eagle, Amanda?” a customer asked once. “I haven’t had the pleasure,” she replied. She never shared that he was her father, and she didn’t mind the anonymity—it only deepened the learning experience. Amanda is now executive vice president at John Eagle Dealerships, an automotive group with 13 locations that sell Honda, Acura, Toyota, and other makes. Her grandfather, Bob, started the business in 1962; her father, John, worked nearly every position in the company before becoming president and CEO. She spent a summer selling cars. In 2007, she graduated from college and went to work in the service department, and later the parts department, at John Eagle Honda of Dallas. In 2013, she graduated from the National Automobile Dealers Association Academy and began attending auctions as a used car manager for John Eagle Sport City Toyota. Later that year, she oversaw construction of Honda Cars of Rockwall, and in 2014, she became general manager of Alfa Romeo Fiat of Dallas. In the end, Fiat didn’t fit well with the John Eagle brand, and the location closed in 2016. Still, the experience was invaluable, Amanda says. “I learned so much about management and myself and how to be a strong woman,” she says. Jeremy Ford is raising his family just a block away from the Park Cities neighborhood where he grew up. He enjoyed the company of good friends, did well in school, and spent time with his family fishing, skiing, and traveling to South Texas during the summers. From the start, his father, Gerald J. Ford, was a strong and dynamic presence in Jeremy’s life. In 1975, Gerald paid $1.2 million for a controlling interest in First National Bank of Post, later selling it for $80 million. A string of similar enterprises followed, the most notable among them his acquisition of Golden State Bancorp Inc., which, along with other assets, Gerald and entrepreneur Ron Perelman sold in 2002 for nearly $6 billion. After graduating from The University of Texas in 1997, Jeremy went to Wall Street, where he worked in investment banking. He later attended Columbia Business School, then went to Chicago to work in private equity. By 2005, Jeremy was ready to come home to Texas. “All along, I was planning on coming back and working with my dad,” he says. 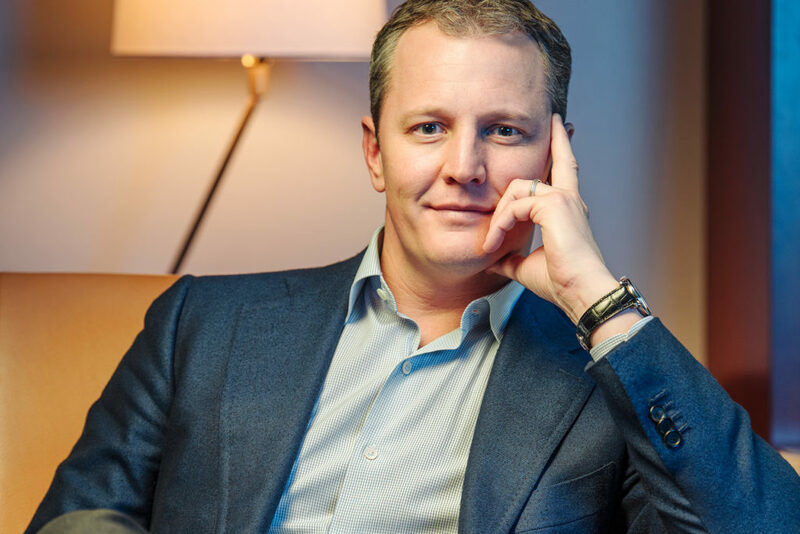 “For me, that’s been a real advantage—I knew what I was building toward and I had a pretty straight path.” Jeremy worked for Diamond A-Ford Corp. until 2008, and in 2010, was made CEO of Hilltop Holdings. Today, Gerald serves as chairman and Jeremy serves as president and co-CEO, sharing the title with Alan White. Hilltop is a financial holding company with four subsidiaries: Prime Lending, Plains Capital Bank, Hilltop Securities, and National Lloyds. The bank is the cornerstone of the company, Jeremy says, and going forward, its leadership seeks to build a platform scalable for significant long-term growth. Their father, Gabriel, founded Harwood International in 1988. The full-service real estate firm has developments across the country and throughout Europe. In Dallas, it’s well known for helping to pioneer Uptown and creating the 18-block Harwood District. A long time ago, Gabriel’s mother told him: “Everything is interesting; you just have to be curious.” That, says Oliver, explains a lot about his father and the fabric of the company. “And when someone says something can’t be done, he takes it as a personal challenge,” Oliver says. As the siblings grew, so did their father’s company. They admired his work ethic, devotion to quality, and drive to create something great in their community. Harwood had become an important part of their lives, and Alexis, Niña, and Oliver each felt pulled to find a place within it. Their father had a rule, though: They had to go out and find their own way first. So, after college, the Barbier-Mueller kids scattered to the wind. Alexis, 35, graduated from the University of Texas and went to work at BNP Paribas Fortis in Geneva, the city where his father was born. Now back in Dallas, Alexis serves as a managing partner at Harwood International and is responsible for overseeing business development, capital markets, the hospitality group, marketing, and leasing. Niña, 34, graduated from the University of Alabama and went to work for an auction house in New York. In 2010, she took on the role of director of cultural affairs at Harwood International. Among other responsibilities, she manages the Ann and Gabriel Barbier-Mueller Museum: The Samurai Collection, which has traveled to 11 cities across the globe. Oliver, 31, graduated from Texas Christian University in 2010, then went to Geneva to work in logistics management. He now oversees development, construction and services, and design. By 2013, all three siblings were working alongside their father, who continues to serve as CEO. “We all carved out our own niches where we saw the best fit,” Niña says. 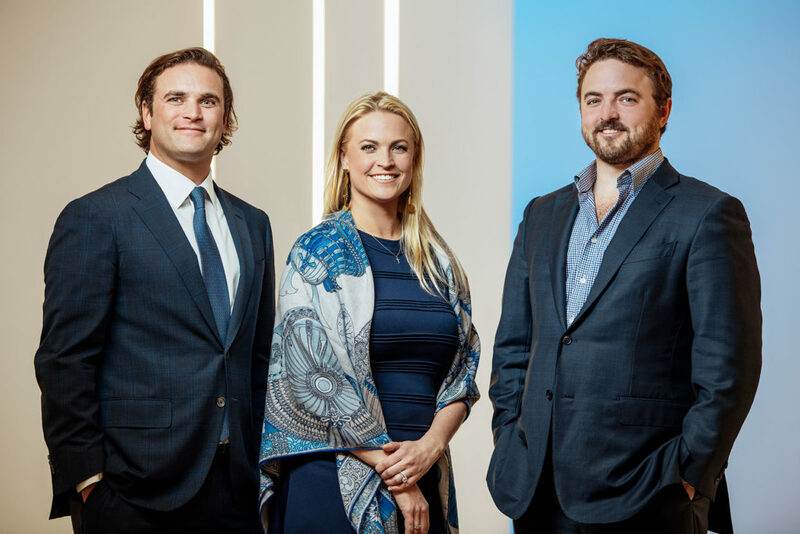 With their patriarch at the helm, the Barbier-Mueller clan plans to continue to “push the envelope,” Oliver says, by finding ways to deliver high-quality projects. Their mindset is generational: Gabriel is G1, or generation one, and his kids are G2. But these days, they often make decisions with G3 and G4 in mind. At Tolleson Wealth Management, the lines between generation one and generation two are a little blurry. That’s because John Tolleson and his son, Carter, have been partners from early on. John founded First USA in 1985. He later took the financial services company public and, in 1997, sold it to Bank One. After the merger, he opened a single-family office to manage his wealth. 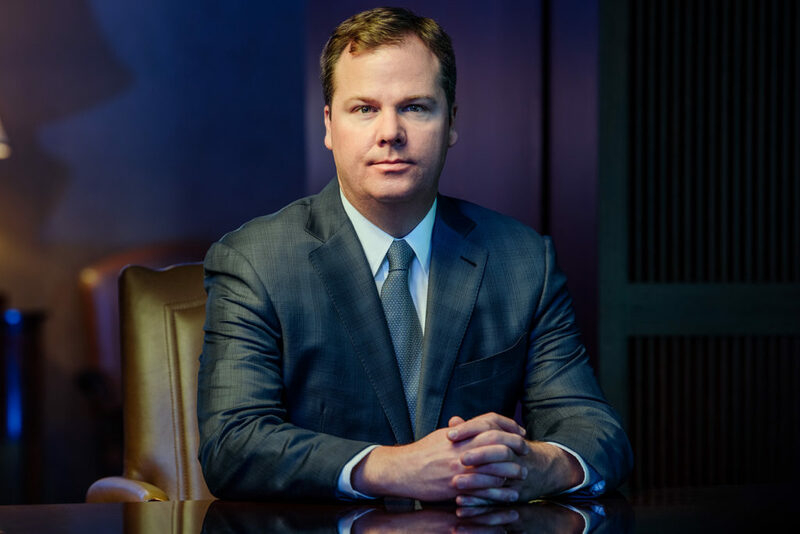 Carter earned a degree in finance from the University of Arkansas in 2001, then returned to Dallas to work for a start-up hedge fund. Meanwhile, other families took notice of John’s focused approach to wealth management and asked how they could utilize his model. John saw an opportunity, and before long, he had piqued Carter’s interest, too. John founded Tolleson Wealth Management in 2000, and Carter joined two years later. They decided to offer banking services, so Carter enrolled in Southwestern Graduate School of Banking and began working on the company’s bank charter. Tolleson Private Bank launched in 2003, and Carter had the opportunity to cycle through a suite of different roles: He worked as a teller, then progressed through loan operations, loan documentation, deposit operations, and, eventually, to lender and client relationship manager. “The teller job was the hardest job I’ve ever had,” he says. Tolleson Wealth Management is the holding company of Tolleson Private Bank and Tolleson Private Wealth Management. Together, Tolleson offers strategic wealth management and banking, plus a suite of services like tax advisory and preparation, family education, philanthropy, and trust management. Carter became president of the bank in 2006, and three years later, he became president of the holding company. In 2017, he assumed the title of CEO after gradually taking over much of the company’s day-to-day operations. John serves as executive chairman and remains heavily involved.